Nature-based solutions protect, sustainably manage and restore natural or modified ecosystems, which address challenges facing humanity (e.g. climate change, food and water security or natural disasters). At the same time nature-based solutions bestow wider benefits to human well-being and biodiversity. Nature-based solutions are quite a new concept and the phrase is not widely used. This is changing however, as society seeks to effectively tackle environmental issues through and for innovation. So, what does an urban nature-based solution look like? Street trees, parks and urban green areas provide a range of natural benefits such as intercepting dust, toxins and noise, sheltering and cooling property, sinking carbon and buffering flooding. They also provide spaces for recreation, fostering well-being, and a host of other social benefits. 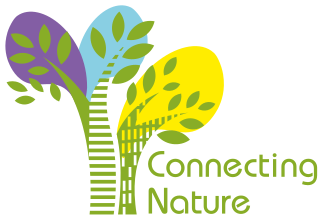 However, thinking on nature-based solutions has evolved to include more benefits, such as increased biodiversity, species conservation, energy production and waste management; while promoting social cohesion using collaborative processes. This means that the ideal nature-based solution uses a comprehensive co-design and co-creation of ideas process, with strong innovation possibilities, leading to multiple ecological, environmental and social gains. It is a big task; but this approach will ultimately change the way we make and manage our urban areas, and lead to more resilient and sustainable urban living.